Like this poster? 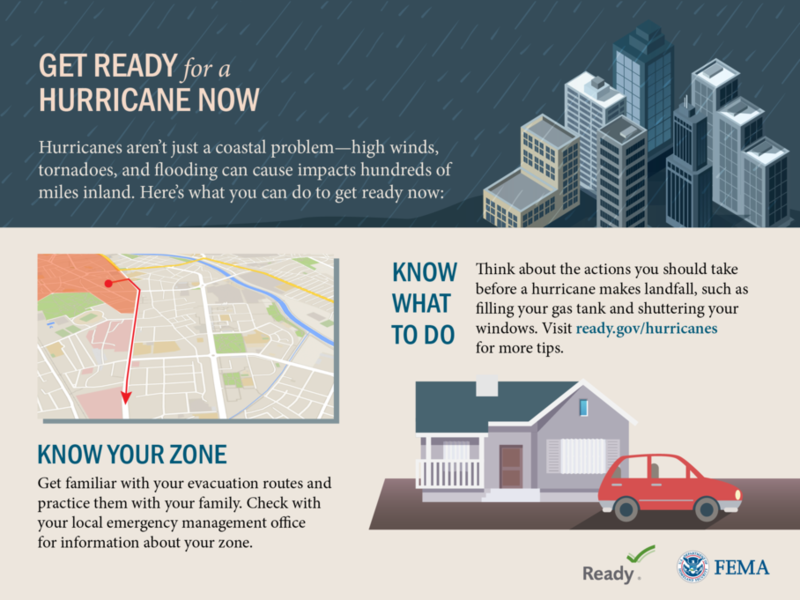 See all of the tools, tool kits, and messaging available for Hurricane season through FEMA’s Ready.gov. Just click the image! 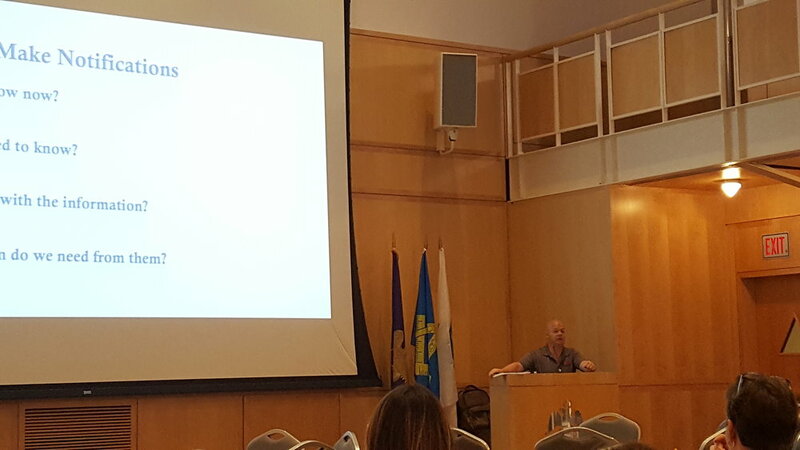 On September 13th, 2017, MRPC Stakeholders met at Newton-Wellesley Hospital's Allen Riddle Living Room to learn more about the MRPC. 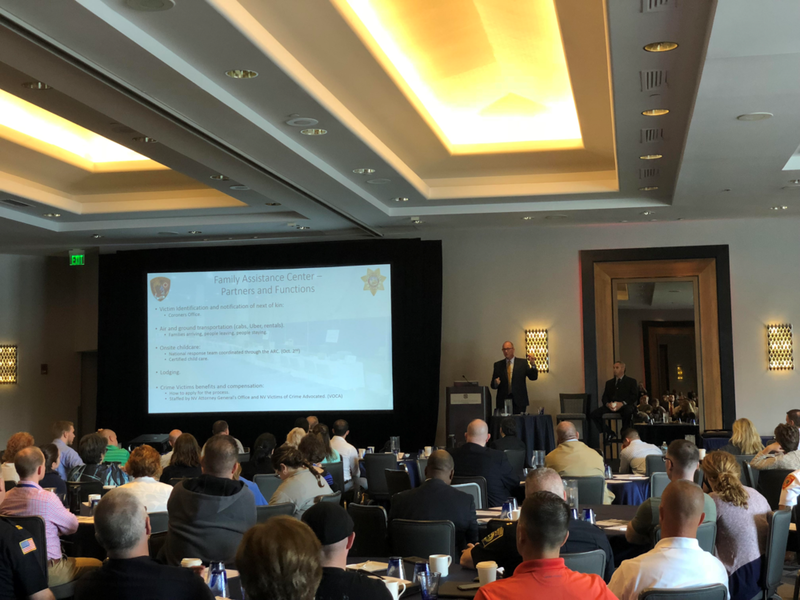 The EMS discipline provided the MRPC Regional Spotlight, discussing the regional model for EMS and how it is incorporated into the MRPC model. MRPC Stakeholders in attendance included Community Health Centers, EMS, Hospitals, Long-term Care Facilities, and Public Health. In addition, we were joined by Dialysis Clinic, Hospice, and Emergency Management representatives. On Thursday, January 25th, MRPC Program Staff were present along with representatives from Community Health Centers, Emergency Management, Fire Departments, Emergency Medical Services, Medical Reserve Corps, and many others to support emergency shelter planning for the 4AB communities of Weymouth, Hull, Cohasset, Norwell, Hanover, Scituate, and Hingham, as well as the Region 5 community of Rockland. 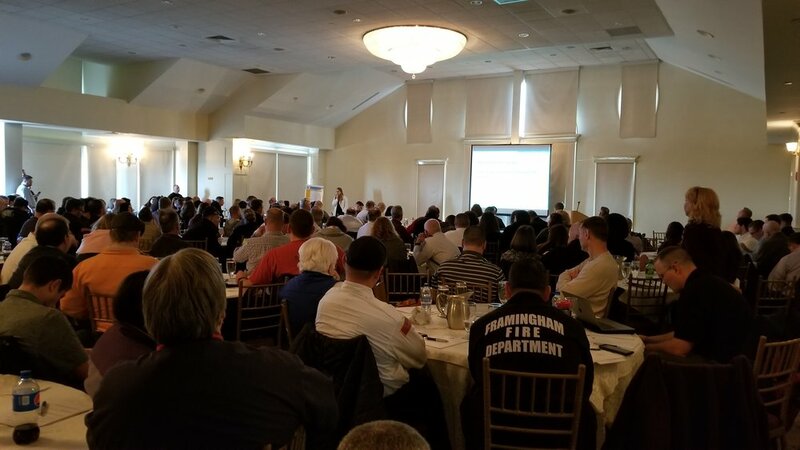 On Monday, February 26, the MRPC, South Shore Hospital, and the Metropolitan Boston EMS Council sponsored a one day conference called MCI & More at Quincy's Granite Links Golf Club. The conference featured speakers Chris Hunter, MD, PhD, EMS Medical Director for the Orlando Fire Department; Eric Goralnick, MD, MS, Medical Director Emergency and Access Center Brigham and Women's Hospital; Matt Bivens, MD, EMS Medical Director, St. Luke's Hospital; and Hanni Stocklosa, MD, MPH, Executive Director of HEAL Trafficking. 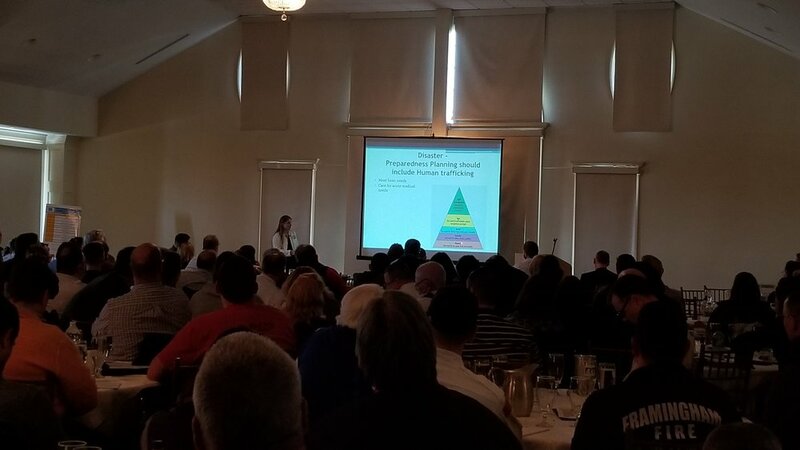 Nearly 300 MRPC Stakeholders were in attendance. 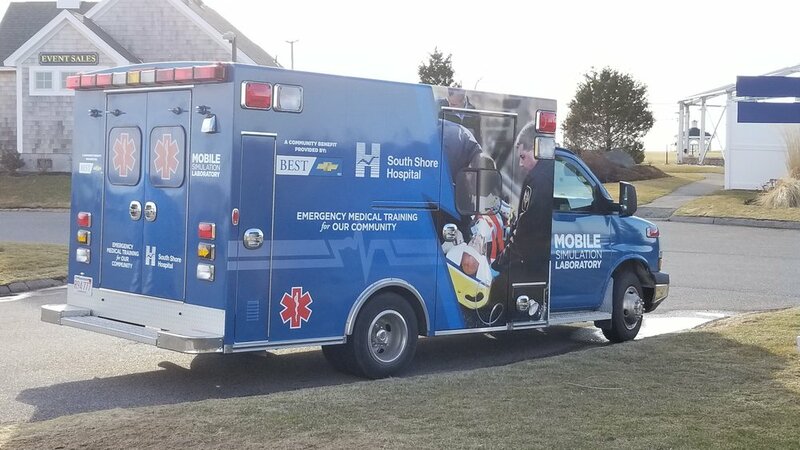 South Shore Hospital EMS Mobile Simulation Laboratory. 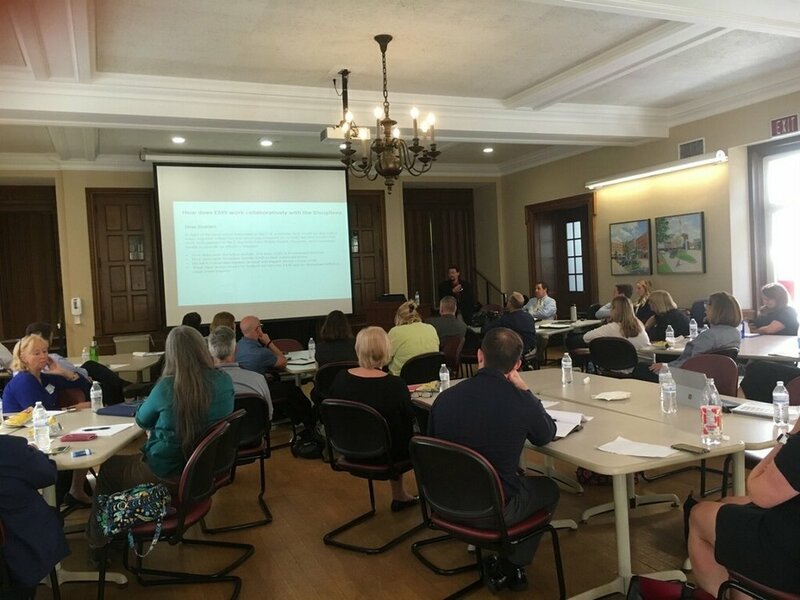 On April 26th, MRPC Stakeholders representing the five core disciplines (Community Health Centers; Emergency Medical Services, Hospitals, Long Term Care Facilities, and Public Health) along with new MRPC Stakeholders (Dialysis, Home Health Care, etc.) 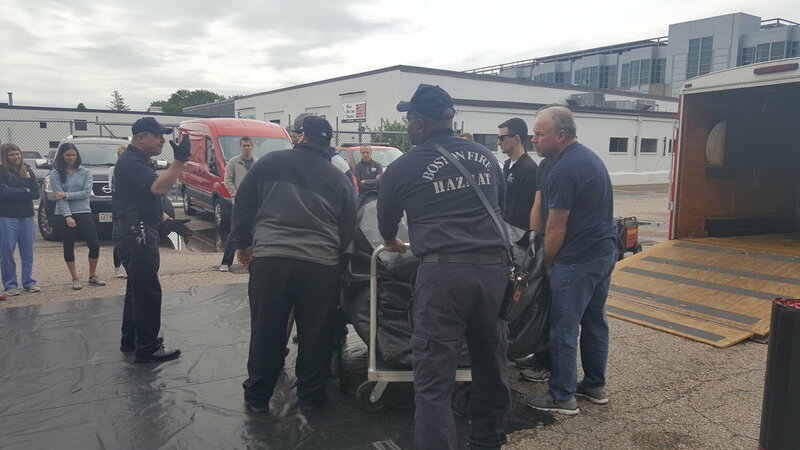 took part in a DelValle course, Operationalizing Emergency Plans: Incident Command in Action. 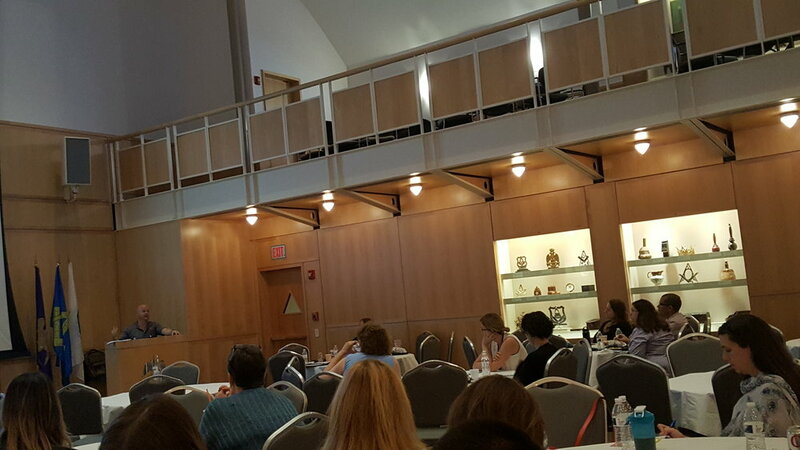 The course focused on improving public health and healthcare agencies’ operational readiness, i.e. 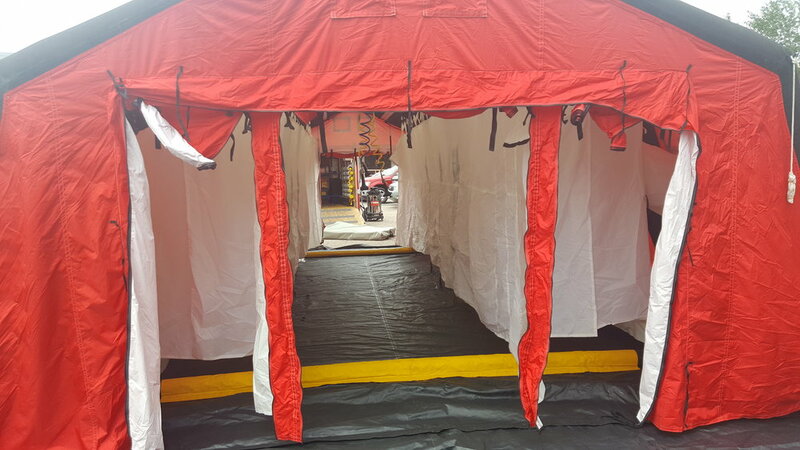 their ability to quickly and effectively transition from normal operations to emergency operations working under an Incident Command System (ICS) structure, with a strict emphasis on utilizing existing Emergency Operations Plans (EOP) to guide the overall response. 27 MRPC Stakeholders took part in the 4 hour course and Table Top Exercise facilitated by DelValle, DPH, and MRPC staff. 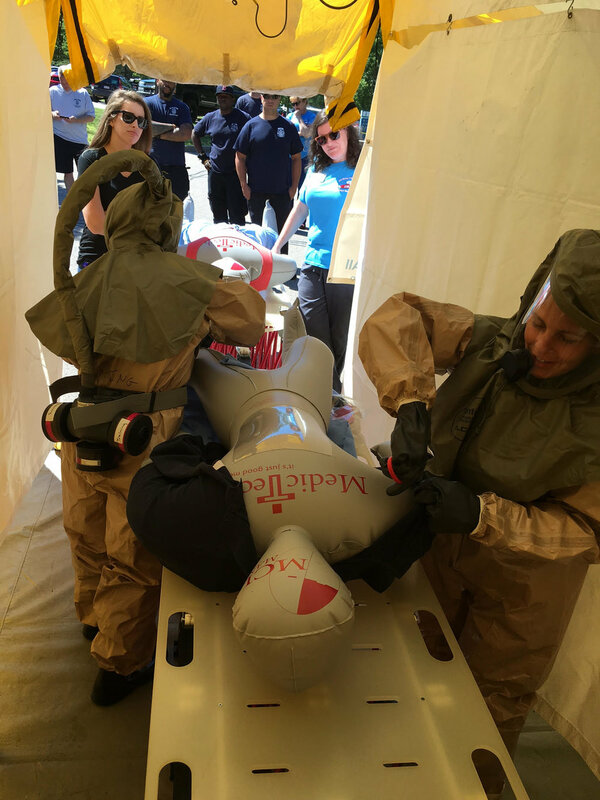 Sponsored by Cambridge Health Alliance (CHA), the Voices From Experience Mass Casualty Incident: The 2017 Las Vegas Shooting Emergency Preparedness Conference brought together over 200 stakeholders from across Massachusetts representing healthcare, public safety, and law enforcement. The speakers discussed the Law Enforcement, EMS/Fire, and Hospital response to the 2017 Las Vegas Shooting. 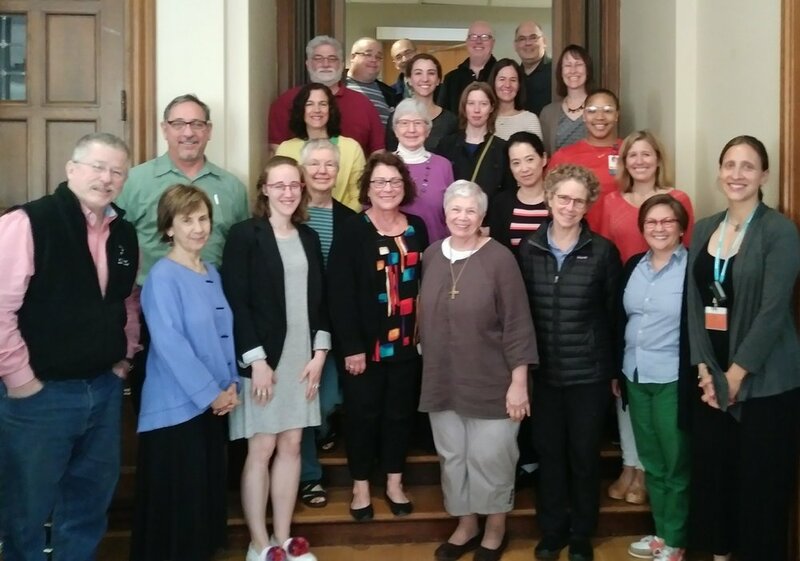 Sponsored by Newton-Wellesley Hospital, the Disaster Chaplain Training offered an opportunity for chaplains, clergy, religious leaders and spiritual caregivers of all faiths to support the development of disaster spiritual care best practices in the hospital setting. 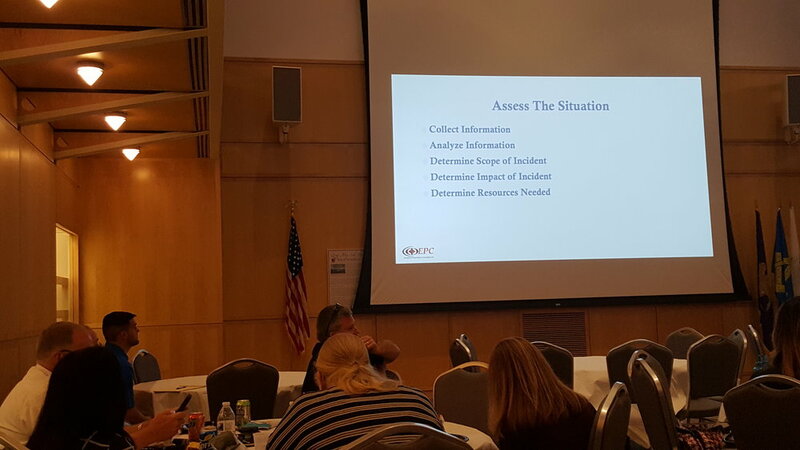 MCI Lessons Learned from Desert Springs: A Non-Trauma Center Response & TTX, sponsored by the Region 4AB Hospitals, provided an opportunity for hospital staff, including nurses and doctors, to learn about how a small, non-trauma hospital responded to a large scale active shooter incident. Karen Donnahie an ED Nurse and Emergency Preparedness Coordinator at Desert Springs hospital in Las Vegas, Nevada spoke about her experience and lessons learned from the October 1st, 2017 shooting. 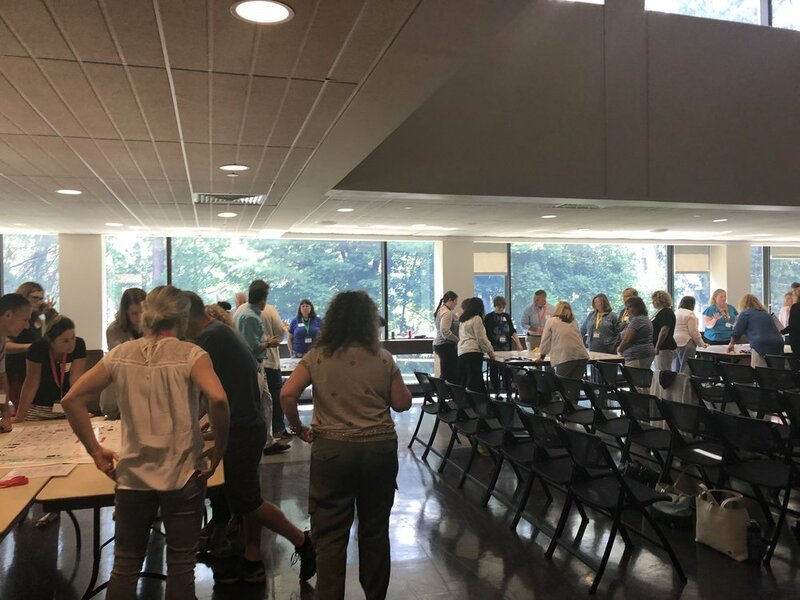 Following Karen Donnahie’s presentation, the Region 4AB Hospitals took part in a facilitated tabletop exercise using game boards mimicking an Emergency Department, Operating Room, PACU, Med Surge, Critical Care, Ambulatory Surgical Center, and hospital Command Center. 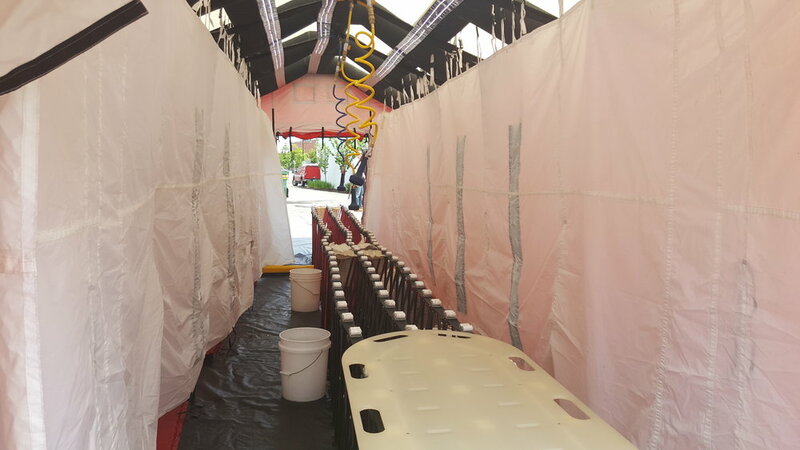 Teams assigned to each game board worked with other teams to triage patient casualties, prioritize OR cases, move patients, and manage resources, staffing, and space.